Mixing the sweetness back into engineering, one cake at a time. I've decided to enter a cake competition at the end of June-- that's the good news. The bad news is, I have a lot of commitments in the days leading up to it, and this competition (unlike most others) requires the use of only real cake-- no dummies allowed! So I'll let you in on a little secret-- I'm going to have to make my cakes the weekend before and freeze them. So I froze 2 6" layers of my famous Chocolate Blackout Cake last week, took it out of the freezer on Friday, and did the stacking and decorating last night. Then I tasted it-- since taste is one of the criteria in the show! I kept the design really simple for multiple reasons-- it was late, it wasn't for anything special, and the point was to get clean lines-- no point in covering them up! But you can see, it's got a nice corner, and no bulges! How'd I do it? A magician doesn't reveal her secrets-- but I was never much good at magic so I'll reveal mine. Another objective in making this cake was to try an Italian Meringue Buttercream-- basically, you beat some egg whites, pour in a boiling sugar mixture, and then beat in tons of butter till it's creamy. It's a little harder to work with than classic butter/shortening-based buttercream, but the taste is really creamy and slightly less sweet. Pretty clean looking... :) Always room for improvement, but I think this is the cleanest looking cake I've seen in a long time-- at least in person. I wanted to try a draping technique that I might use in my show cake, so I figured this was a good opportunity. It was a bit of a struggle because I wanted a pretty long drape, but I learned some valuable lessons and I think it will be easier when I try again. Is it possible for a cake to taste even better after being frozen for a week? Cause I'm a believer. Was even moister (I think) than the cake from the same batch that was eaten fresh... Phew! At least I know I have a recipe that will taste great for the competition. To freeze my cake, immediately after cooling, I double wrapped each layer with seran wrap, followed by aluminum foil. Then I put each cake in its own freezer bag. To defrost, I just left the cakes in their packaging and set them on the counter. I WANT A PIECE NOW!!!!! THAT LOOKS SOOOOOOOOOOOOOOOOOO GOOD!!!!!! 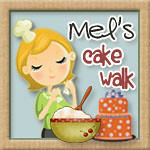 Will you share your cake recipe? Did you have cake for breakfast too? Hi, Just saw this post. I created the upside down technique several years ago and would like to offer suggestion for improvements that I have made. 1. Don't use parchment or waxed paper...use plastic coated freezer paper...the plastic coating releases the icing very cleanly. 2. Don't use cardboard (you noticed the ridges being transferred to the sides of your cake)...instead use foamcore...it's light weight but very strong and completely smooth! Hope these suggestions help! Jeff Arnett - originator of the upside down icing method. Roxanne, I found you by way of The Berry - great stuff! - and I've enjoyed reading back through your blog. I'm fairly new to fondant and I'm confused by your remark about steaming. Can you explain? Thanks so much! I just found the explanation on an earlier post. Thanks! I have been in the cake and sugar arts world about two and a half years now, and I'm still learning as fast as I can! I am an engineer by trade-- I have a B.S. in Mechanical Engineering from University of Illinois, and an M.S. and Ph.D. in Mechanical Engineering from Georgia Institute of Technology. Cake decorating is a passion of mine, and I look forward to exploring the middle ground between cake and engineering (yes, I think there is one!!) I hope you enjoy learning along with me as I explore the sugar arts world!